What do toddlers want? Everything! When do they want it? Now! Patience is one of the most difficult things for young children to learn. Because a toddler’s concept of time is so skewed, waiting five minutes for a toy can feel like an hour. Children at this age also have difficulty with forward thinking; it’s hard for them to imagine what they’ll be doing in twenty minutes. There’s so much happening this minute! Still, every caregiver knows that patience is important. So how can you teach your little learner to wait? Marie Masterson and Katharine Kersey have some answers! Their book Enjoying the Parenting Rollercoaster provides parents of young children with advice on teaching basic social-emotional skills. From establishing a strong connection with your child to building their confidence, these invaluable tips are exactly what you need to help your child grow socially. 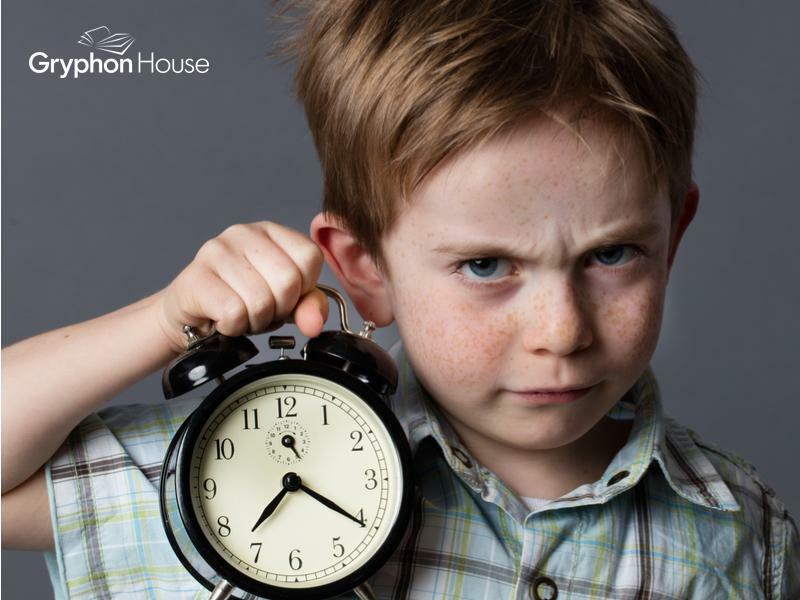 Here are five tips on how to instill patience in your little learner. Explain why you’re waiting. It may sound simple, but this is a good first step to encouraging a child to be patient. Children may not always understand that something takes time. If your child is impatient about when dinner is ready, explain that the food has to cook before it can be eaten. If the meal is something meatless like pasta, take one of the uncooked noodles out and give it to her. Surely she doesn’t want crunchy mac and cheese! Showing why something needs to be finished makes waiting an easier concept to understand. Set goals. Whether it’s short term or long term waiting, setting small goals makes everything more manageable. If the wait is long—for example, wanting an expensive toy—add smaller goals along the way. Give your child one or two dollars a week when he behaves and have him add it to a jar. Then, when he saves enough money, take him to the store and let him buy the toy. The money acts as small rewards that lead up to the big reward—the toy—which makes waiting worthwhile. Discuss other people’s feelings. One of the biggest issues toddlers have with sharing is an inability to wait their turn. Try to encourage your child to consider others when they are asked to wait. This classmate was already playing with the toy; how would they feel if you just took it? How would they feel if you asked nicely? This can also be applied to other situations, such as waiting for other family members to get to the dinner table. When other people’s feelings are considered, children are able to find further motive in waiting while also building empathy. Talk about types of waiting that are easy for the child. Maybe your toddler has no problem waiting for Christmas presents but will then struggles to stand in a line for more than two minutes. To him, these two things are not connected, but if you point out their similarities, he can learn to wait in both situations. Remind him how we wait to open presents, and how the long wait makes opening them more exciting. Waiting in line for the movie will make the movie more exciting too. Provide rewards. Sometimes, the best way to encourage good behavior is with gifts. If your child struggles to sit through church without squirming or constantly complains at family functions, develop a tradition of a special treat for when she behaves. Maybe you go and get ice cream on Sunday or buy her favorite candy. While rewards aren’t always reliable, they can provide a good incentive to changing behavior, and give the children something to look forward to as they wait. Patience isn’t easy to learn, but with the right techniques, it can be easy to teach!